In an alternate life, Keisuke Collins would have started high school last week as a freshman at Foothill High. But in reality, Keisuke lives an ocean away from Orange County and from the father who misses him. In the wake of a bitter divorce, Collins’ ex-wife, Reiko, spirited their then-5-year-old to her native Japan. Officials there have made “zero attempt” to reunite father and son, he said. Randy Collins, 56, has not spoken with the boy throughout his school career. “Not a day goes by that he isn’t on my mind,” said the Santa Ana resident. Collins and dozens of other parents in similar situations around the country have bonded over their common cause. They share a passion for testifying before congressional hearings and for imploring politicians to take action. They share a national organization, Bring Abducted Children Home – which counts about 400 children living in Japan without access to their American parents. Mostly, however, they share heartache. Collins’ ex-wife could not be reached for comment. The Orange County attorney who represented her in the divorce did not return requests for comment. The last time Collins saw Keisuke was June 2008, when they spent a jam-packed Father’s Day together. They attended church, visited the Discovery Cube, grabbed a bite for lunch and played at the beach. Then Collins took the child back to his mom, expecting to see him again the following night. But she phoned the next afternoon and said Keisuke was under the weather. Little did Collins realize she had placed the call from the Seattle airport on her way to Japan, ignoring a court order that forbade her from leaving the country with their child, he said. 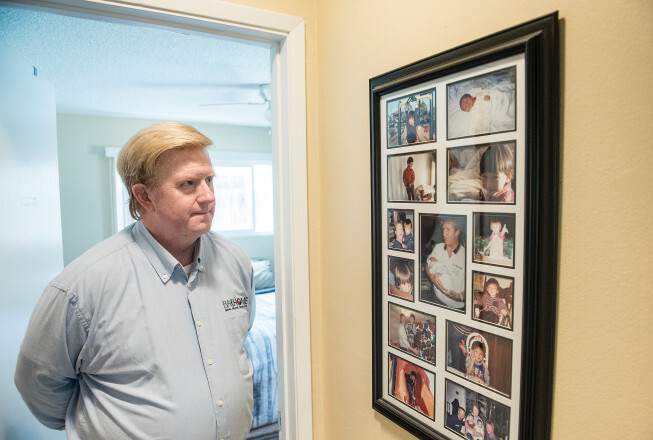 “She was already gone,” said Collins, who works in mortgage lending. Thus began an expensive and fruitless legal effort to get Keisuke back. That mission included a 2015 trip to Japan with his best friend since Westminster High School, Ta’alolo Puni Pa’u. Nine days later, he decamped without so much as a glimpse of his son. “I was bawling my eyes out,” Collins said. “He started out so hopeful that he at least would get to see Keisuke, but left in utter despair,” said Pa’u, a hotel executive in Dallas. New York attorney Jeremy Morley, an expert in international family law, has represented numerous parents in Collins’ shoes. Japan, he said, takes a hands-off approach in custody disputes even when both parents are Japanese. U.S. Navy Captain Paul Toland, 50, knows too well that anger, frustration and pain. Toland met his wife, Etsuko, while stationed in Japan. The couple welcomed daughter, Erika, in 2002. Etsuko experienced postpartum depression and went with the baby to her mom’s home for what Toland assumed would be a brief visit. Instead, his wife cut off communication with him. Japanese courts offered no assistance, he said. “If I’d had even an inkling that a U.S. ally could actually separate an American father from his child, I would never have let Erika out of my sight,” Toland said. Etsuko committed suicide in 2007. Even after her death, Toland could not gain custody of his daughter. A court granted guardianship to Erika’s grandmother, who continued to block contact. Children usually stay with the mother after a divorce, Morley said, and the father has little involvement. “A father who demands custody rights is viewed as someone disturbing family peace,” he said. In 2014, Japan belatedly signed the 1980 Hague treaty on international child abduction. Although a positive step, Toland said, Japan continues to grant full rights to one parent regardless. “He is tireless and will never stop fighting,” Smith said. “Keisuke is my son, my only child,” he said.